7 mooring berths, 24 mooring buoys and 50 metres of mooring jetty. Sewage and bilge emptying facilities. Dockside electricity and water. Refuse disposal point. A service building with toilets, showers and laundry facilities is in the immediate vicinity, as is the Spa Hotel Vesileppis and the Tourist Centre Unnukka. 150 metres to the nearest service station. Mooring available for stopovers, unmanned petrol station with credit card, fresh water, sewage-emptying and waste collection point. 40 metres of dockside mooring, plus the sides of the old canals. Drinking water supply, barbecue shelter and chemical toilet. The services of canalrestaurant Konnustupa in the immediate vicinity: café, restaurant, pizzeria, dance hall, sale of fishing licences. 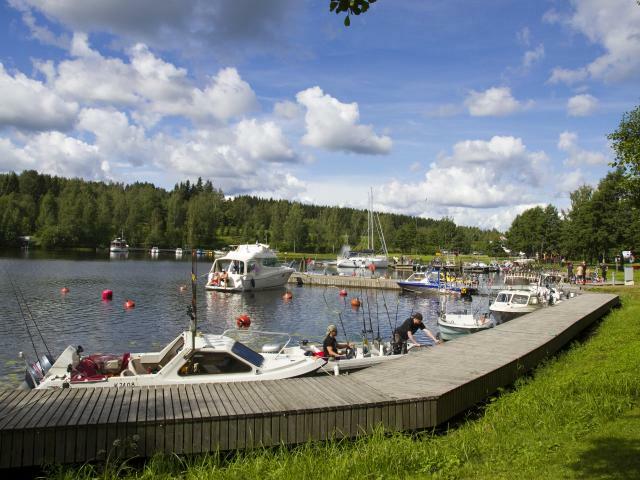 1 kilometer to the nearest golf course and about 7 kilometers to Leppävirta centre.